"Moon and Stars Star Lamp"
This is a big star lamp at 24 inches across. 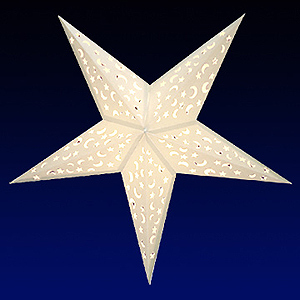 This is a snow white star lamp with moon and stars cutout of it. You may also put a color bulb in it to change the glow to your favorite color. You will love it!